This is the first time that the spiritual music group SAVITA from Kazaksthan was on tour in Zurich, Switzerland. They are all disciples of Sri Chinmoy and played and sang their master’s melodies and also used two native instruments of their country: the Kobyz (a kind of violin) and the Dombra (a kind of mandolin). The members of the group are Akbota (leader), Anara, Nazerke, Akkerbez, Assemgul, Varvara and Anna. Enjoy the music! To commemorate the 44th anniversary of Sri Chinmoy’s first rose drawing that he made in Canada on November 19, 1974, I am presenting a new journey through 81 paintings of the artist from the 1970s. He called his artwork “Jharna-Kala” which is the Bengali word for “Fountain-Art” – art that is created from within. As more and more early reproduction slides of Sri Chinmoy’s artwork are being scanned and refreshed, it is your golden opportunity to view them in large format on the blog Sri Chinmoy Artwork HD. In the near future there will be one new picture every day. Enjoy! The lyrics comprising the song’s chorus succinctly relay that feeling: “And I’ll just keep running/Until my race is done/‘Cause if I just keep running/Then I’ve already won.” The moving song, written by Levine, is the closing credits song for the documentary 3100: Run and Become. The film, directed by Sanjay Rawal and scored by composer/songwriter Michael A. Levine, focuses on aspirants participating in the annual Self-Transcendence 3100 Mile Race, the longest footrace in the world. Launching a weeklong stand in New York City today at the Village East Cinema, the film will then open in Los Angeles (Nov. 9) at the Laemmle Santa Monica theater before going wide and digital. It was a string of coincidences that inspired Flack — recently honored by the Jazz Foundation of America for her career achievements — to record “Running.” She was a longtime devotee of the late Guru Sri Chinmoy, an Indian spiritual leader whose followers included Carlos Santana, Clarence Clemons, Narada Michael Walden and Olympic gold medalist Carl Lewis. 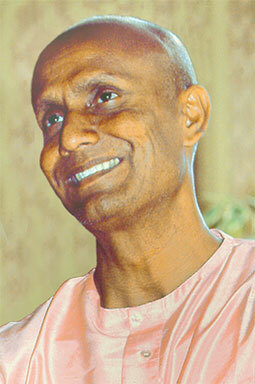 A proponent of meditation and physical exercise, the New York City-based Chinmoy was an avid runner and sponsor of the 3100 Mile Race in addition to being an author, poet and musician.